For Valentine’s Day, Emma Taylor and her aunt Arabella have organized a special evening for men only to shop for their sweethearts in the Sweet Nothings lingerie shop, complete with champagne and hors d’oeuvres. But when a former valentine shows up, Aunt Arabella is not her usual bubbly self. Art dealer Hugh Granger is still a charmer, though. He invites the women to a ball he’s having to celebrate his birthday and his return to Paris, Tennessee. But when Granger is pushed from the balcony, it paints a sinister picture for Aunt Arabella, who gets framed…for her old flame’s murder. "In the third Sweet Nothings book, London really finds her groove. The plot and the characters have improved as the series moves along. Adding a little family drama, this is a great mystery. Can't wait to see where this author will take us next." 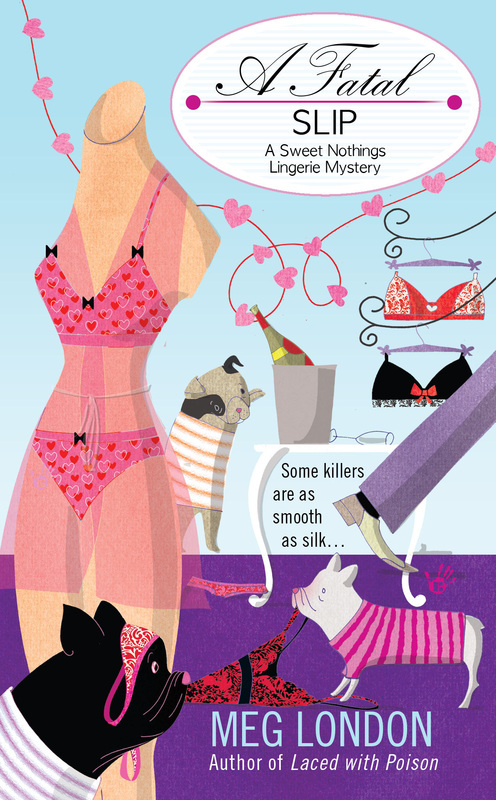 Sweet Nothings has it all: silk ribbon, Venetian lace, the best bra fitter in town... and two unsolved murders. 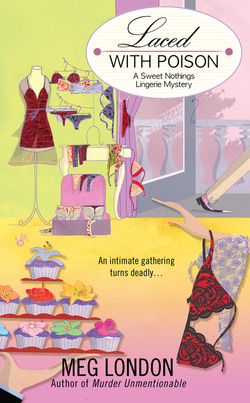 Emma Taylor thought she knew what to expect when she abandoned life as a big-city fashionista to help her aunt, Arabella, breathe new style into Sweet Nothings, her waning lingerie boutique. As Emma settles back in to Paris, Tennessee - a world where pie is served with a parable and a pitcher of sweet tea is the cure for most of life's ills - her escape seems as smooth as silk. "Meg London captures the essence of a small Southern town's quirkiness." 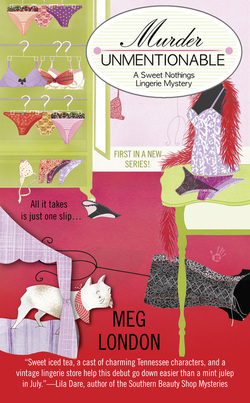 Meg London also writes the Gourmet De-Lite series under her own name, Peg Cochran. Click on the link to read her bio, follow her blog and read about her e-books.